Today we’re looking at the SteelSeries Rival 300, one of a growing number of gaming mice with an acceleration-free optical sensor. The idea here is that by eliminating hardware acceleration, you can get a much more consistent experience; moving your mouse three inches will always translate into the same amount of on-screen movement at a fixed DPI. That should make it easier to learn the smooth, precise mouse movements that are so necessary at the upper levels of competitive gaming – whether strategy games like StarCraft II, MOBAs like League of Legends, or shooters like Counter-Strike. At , the Rival is towards the upper end of gaming mice so we should expect a complete professional experience. If all the other fundamentals are right — an ergonomic shape, a lightweight body and well-placed buttons — then the Rival’s optical sensor could make it one of the best options for serious gamers. Let’s find out together! Thanks to ComputerAssistance.co.uk for providing the SteelSeries Rival sample. Exact features – Aim, Accel, Snapping. The Rival is a right-handed mouse, with a slight bulge towards the right-rear that nestles comfortably in your hand. Despite the thicker right side, it’s still a relatively thin mouse that is well suited for gripping with the palm. 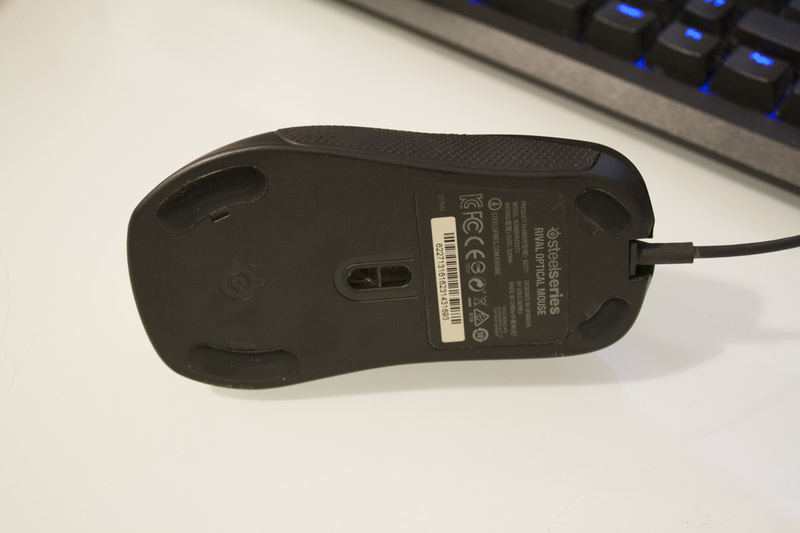 The top of the mouse has a nice sloped design, with a single piece of plastic stretching from tip to tail. The left and right mouse buttons take a little bit more effort to click than some others I’ve tried, and produce a satisfying click sound. The LED-lit mouse wheel sits between the two primary buttons, and above a tiny button that switches between different DPI settings. The left side of the mouse has a fairly rough dotted texture wrought in rubber, adding some much-needed grip for rapid repositioning. There are also two buttons here, mapped to back and forwards in Windows. Like the other buttons, these can be rebound in-game or in SteelSeries’ Engine software. The right side of the mouse has the same grippy texture, but there are no buttons here. The back side of the mouse contains a backlit SteelSeries logo. 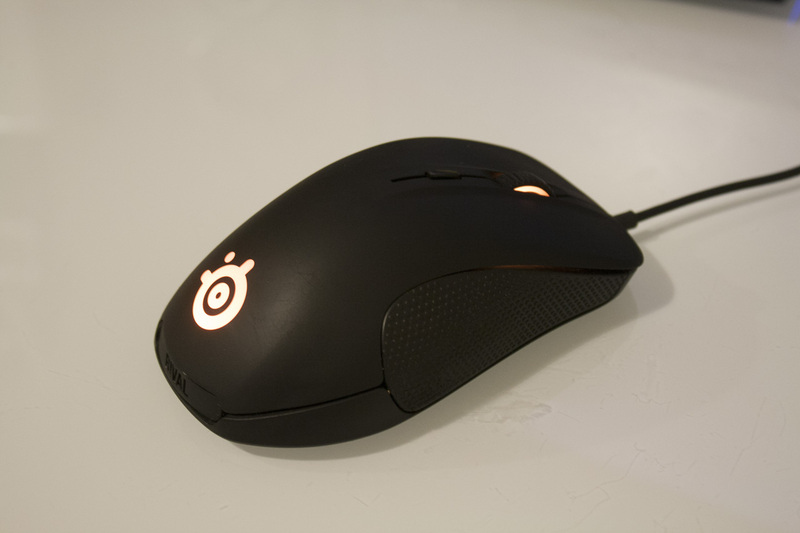 Both this and the scroll wheel LED can be set to a range of colours in the SteelSeries Engine software. Below the logo is a nametag, which of course reads ‘RIVAL’. In an act of awesomeness, SteelSeries have released 3D printing files for the nametag, so you can pry out the default one and install your own custom tag, which is pretty sweet. The bottom of the mouse includes four replaceable skates and the Avago 3310 optical sensor. This one is fairly well regarded by enthusiasts, and should offer strong and consistent performance in-game. The mouse is available in three colours: black (as reviewed), grey and white. So overall, I’d say the Rival is a straight-forward and sensible-looking gaming mouse. The button placement and LEDs seem well considered, with no obvious issues from our cursory examination. Now let’s take a quick look at the software side of things before moving on to see how the mouse actually performs in-game! The Rival comes with SteelSeries’ latest Engine 3 software. This is quite a comprehensive package, allowing for changing each button to different functions, changing the lighting, and adjusting the DPI and acceleration present (with no acceleration as the default). You can also choose to load different profiles when different applications or games are launched. The macro editor is the best I’ve ever seen. You can easily record macros, adjust delay periods and remove individual sections. It’s a very intuitive and modern experience compared to the usual byzantine or overly simplistic options available in some other software packages. I also liked the live preview function when tweaking the colour of the mouse’s LEDs. It’s a big step above the tiresome cycle (tweak > save changes > wait > tweak…) which is so common with many manufacturers’ mouse and keyboard software. There are some neat features I haven’t seen elsewhere too. For example, you can even set up your mouse to react to in-game events, e.g. your health decreasing or kill count increasing in Counter-Strike. It’s not a particularly practical feature, but it’s really awesome regardless. Everything is laid out well and easily understood; SteelSeries continue to embarrass many of their rivals with the quality of their software. The company also gets bonus points for providing a working Mac client with the same functionality as the Windows version. In order to properly test out the SteelSeries Rival, we used it as our go-to mouse for competitive Counter-Strike and Metal Gear Solid V. We also used it for briefer periods in strategy and MOBA titles to get a better idea of its performance in different genres. Finally, it was also used for standard PC tasks, like surfing the web, editing photos in Photoshop and writing this very article. The Rival feels like a well-tuned machine in-game. I found that after a brief period of getting used to the feel of the mouse, I was snapping onto targets with excellent precision. The grips on each side and low weight made it easy to rapidly reposition or even spin 180 degrees. Counter-Strike and League of Legends both require a lot of accurate movement, and the Rival delivered in spades. The more casual play of Metal Gear Solid V was also well served by the mouse, although I did miss having a couple of buttons on the right hand side for common tasks like reloading or accessing the iDroid. 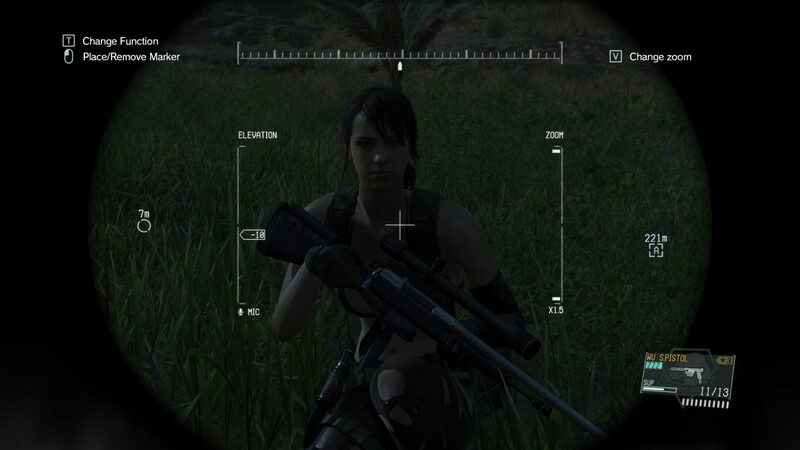 The one issue was that scrolling felt a bit slow; I miss the infinite scroll of the G700 for zooming in with the binoculars in Phantom Pain. For working, the Rival was also a strong performer. The shape of the mouse and the good-size grips made it comfortable to use for long periods, although the scroll wheel felt a little weak and flaky. I would have prefered a little more tactile feedback here too; the clicky response of the G700 is still unrivaled in my mind. The same accurate optical sensor that made the Rival great for clicking on the heads of your enemies also works well in Photoshop, making it easier to make precise selections and navigate the interface with speed. All in all, the Rival acquainted itself well, with strong performance and few weaknesses across all tests. The SteelSeries Rival is a strong gaming mouse, with an ergonomic and lightweight design that will suit all but the tiny-handed. The optical sensor used here is one of the best available, and provides solid (and more importantly, consistent) performance. While there are some small issues — a scroll wheel that lacks much tactile feedback and buttons that require a little more effort to actuate than I’m used to — the overall package is very strong indeed. If you’re looking for a competitive edge, then the Rival is one of the best gaming mice on the market.